The introduction of Drive Forms brings a whole new dimension to gameplay. 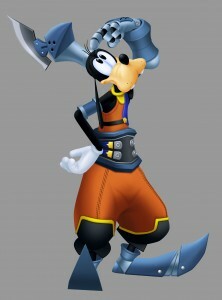 Sora combines his power with Goofy to go into Drive mode in the demo. Are there other drive modes with different characters in the game? Are there any other characters that aren’t Disney, but help the main character? How often do Disney reps see the game? Are there problems working with Disney? You were able to turn the limits of the Disney universe into the game’s strengths. Why do so few companies manage to do that? How would you describe the target audience for Kingdom Hearts II? Nomura: Since the games are based on Final Fantasy, we think of Final Fantasy to be the center of the target audience. For Kingdom Hearts, it may be a younger audience than that of Final Fantasy. Since Before Crisis: Final Fantasy VII is developed on mobile phones and there’s a movie based on Final Fantasy VII, will Kingdom Hearts ever be on another platform or in another media? Nomura: Final Fantasy is our property so we can do whatever we want to, but Kingdom Hearts is half Disney, so we can’t use the property as we please. 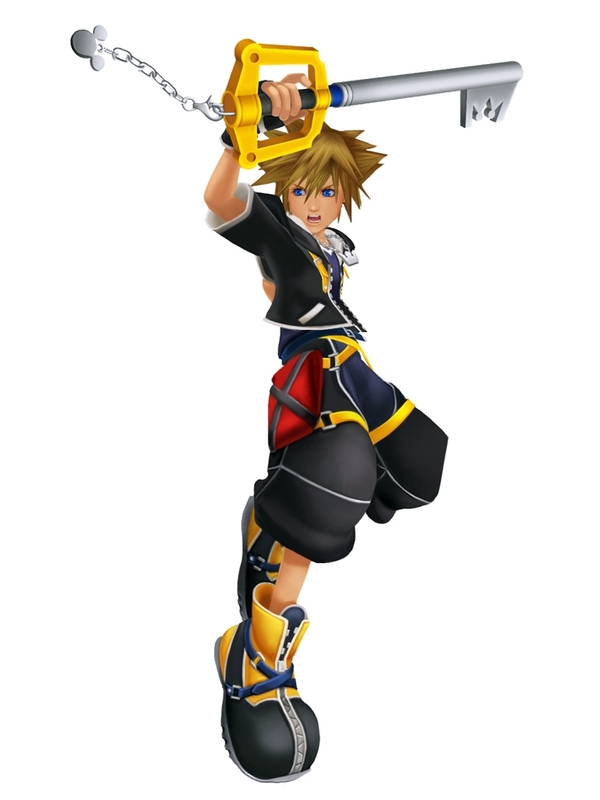 How much was reused between Kingdom Hearts I and Kingdom Hearts II? As a director, what’s exciting about melding the two game universes? Nomura: For the first question, although there are many similar elements, we actually recreated the game engine [for Kingdom Hearts II] from scratch, so we didn’t import any data from Kingdom Hearts I. It’s 100% new. Although it’s the same world, it’s completely new. 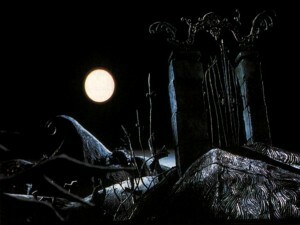 As for the second question, Disney has different touches for each character, for example, The Nightmare Before Christmas. The same goes for Final Fantasy. It’s a different world for every series we have. Each different world has different values. Like with Final Fantasy, there are lots of non human, sub-human races, and it was easy to fuse the two worlds together. As long as it made sense, it wasn’t that big a deal. What makes your team special enough to work on Kingdom Hearts? Nomura: I can’t really think about comparing with other titles, but as a team, we try to put our effort on every little detail and aspect with the game. We take our efforts to the max for every level. We even give attention to particle-objects and leaves in the game. The staff itself is eagerly waiting for the game to come out — they want to play it quickly, which is a bit strange amongst the games I’ve made until now. Have you considered using a different kind of property other than Disney? And, have you considered bringing Enix characters into the game. Nomura: For the first question, there have been talks with other companies about using characters, but we’re too busy with Kingdom Hearts 2 and other titles I’m on. We’d like to do it, but not now because of time constraints. As for Enix characters, we cannot talk about it [laughs]. How was it working with Disney? Did you have to take anything out of the game at their request? Nomura: We don’t really put anything in the game that we thought Disney wouldn’t want in the first place, so there haven’t been any big issues. Can you give us an idea of what your studio looks like? Have you explored the possibility of bringing Kingdom Hearts to PSP in the future? Any chance that other characters from Final Fantasy or Kingdom Hearts will make it to feature films from Disney? Any chances of Square Enix character being in a Disney movie? Looking back to the start of Kingdom Hearts, I was wondering how it happened. Was it something that started in a bar or something? The Nightmare Before Christmas took a turn for the re-imaginative in KHII. KHII spent time revisiting worlds in a different light e.g. Hades World beneath the Coliseum. In Kingdom Hearts I, the Nigthmare Before Christmas level was somewhat of a surprising level because it wasn’t like the other levels. Can we expect any surprising Disney choices for Kingdom Hearts II? Can you use the wireless adapter to exchange cards and so-forth in Chains of Memories? Are you using any middleware to create the game? Who is your favorite Disney character and what was the last Disney movie you saw? What was the biggest criticism you got for the first game and how did you go about fixing it? Nomura: We had complaints about the camera. It has been modified and it’s must better, as you’ll see at Tokyo Game Show. How many projects are you part of right now? Anything in Kingdom Hearts II that you did and you loved but Disney made you pull out? You mentioned that you’re currently working on six projects. How many of them are not current generation games? How much work did you put into the movies for Chain of Memories to create what you wanted? Nomura: We did have lots of things that we wanted to put in, but we had to take out because the ROM itself is limited. How many minutes of movies are in the game? How long is Chain of Memories? Have you seen the new PS2 design? What do you think of it?